This was my July 4th outfit. Since it was hot as Hades, I wore the most ventilated, yet still adult party-appropriate dress I own. I’ve worn it for about a zillion weddings. 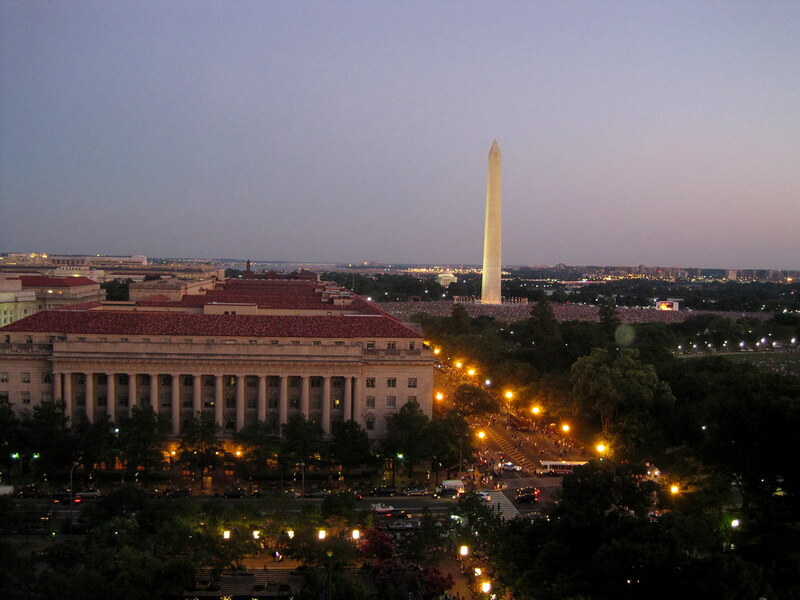 Usually, you couldn’t pay me enough money to brave the crowds on the Mall to see the fireworks, but B and I were lucky enough to be invited to a party with the most incredible view, so who am I to say no? No room for the big camera, so we brought along the little Powershot. I was actually quite impressed with the nighttime photos. Wow, the print on that dress is awesome. Buzzy! this print is actually amazing. This 102 degree weather is insane! I just want to wear a swimsuit at all times. Unfortunately, that's not really work appropriate. that dress is GORGEOUS, and you look extra glowy and beautiful in these shots. Great dress. I love the pattern and the colors. Perfect. Great photos as well and that is a great view from wherever you were. I knew it first that the dress was Missoni. Wow that dress is so incredible. The print is beautiful. Looks like you had an amazing time, from what I can see of the view. I actually don't know how to get good night time photos with my big camera, only my tiny point and shoot. Beautiful dress! Perfect on you! your dress is amazing, and so was your view! 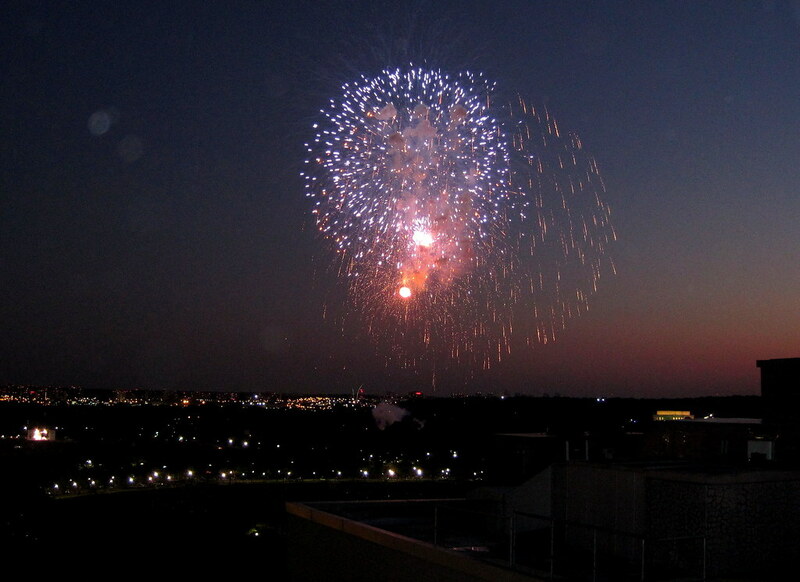 i hope to find a spot on the mall next independence day for fireworks! Greta view of DC! I'm jealous. I love the dress. The colors are perfect for any summer party. 1. Is that Missoni? It's cute? 2. I want a Missoni! 3. When can I get a Missoni! Great dress and so versatile! IN LOVE WITH YOUR MISSONI DRESS. Whoa. You look gorgeous and that die is to die for. Although I would want a maxi dress! You are so chic and beautiful! Lovely. You wear missoni so well. Oh wow! That dress is seriously gorgeous. I really love the prints and colours. Oh I loved your dress so so much!! Wow, you got some great fireworks shots with a little Powershot! What an amazing view, too. I love the print on the dress! pretty colours of a dress!!! What a fun dress! It looks perfect for warm weather! That dress is gorgeous. It's perfect for a hot summer day and equally hot summer night! Lucky girl! looks like you had an awesome view! 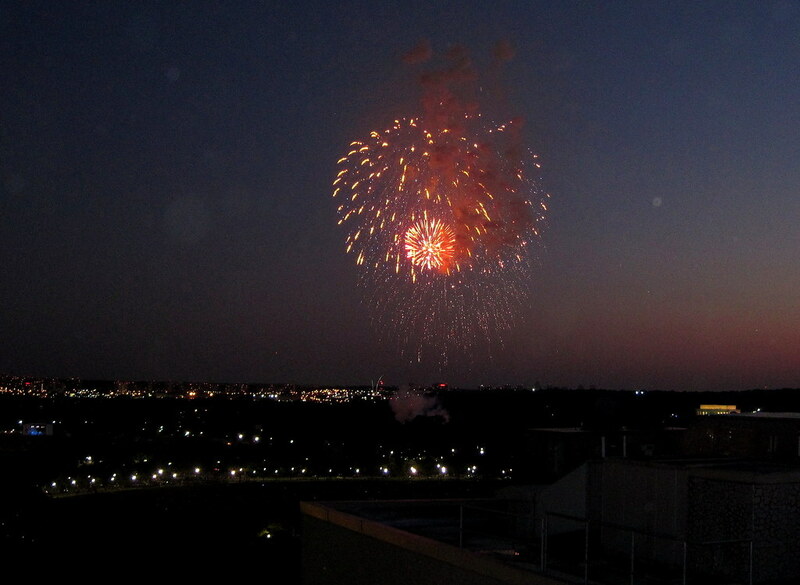 i've been living here for 24 years and have never seen the fireworks in DC!! Thanks for posting these pictures! I can't believe you got such good fireworks pictures with your point and shoot! I took about a billion pictures of our fireworks display and only got one that was halfway decent! I have yet to be in DC for the 4th or the Cherry Blossoms though I've worked there for extended periods twice. You look great and I love the dress. I do hope you had a great holiday weekend. I love what you were wearing. It's very pretty. Cute dress and what a great view of the fireworks! Wow, the pics are awesome! Your dress is the perfect combination of festive and cool. I adore it and think you look HOT!! Hope you had a wonderful 4th…those pictures are gorgeous! I love this dress, it is pretty! I really like the pic too, I am never able to take decent ones of fireworks. Awesome dress, E! I always love your pick on dresses! Adore those photos as well! Fab pictures and such a beautiful dress! Oh my word! I have the same exact dress! This is why I love fashion blogs. Don't you find the belt kinda weired ? Oooooo, what a lovely Missoni dress! You look fabulous, dawling 🙂 And it looks like you had quite the view. love the missoni dress! omgosh, what a gorgeous view! you look perfect in it!!!!!!!!! fantastic! The skirt is just beautiful! like the colors too!